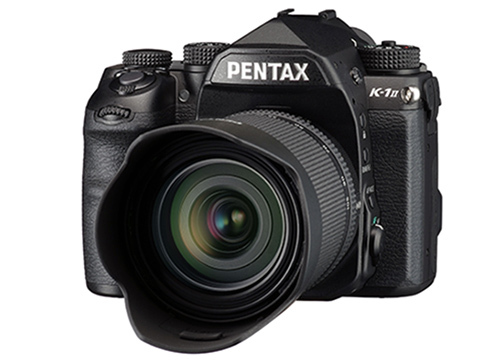 West Caldwell, NJ－Ricoh Imaging Americas Corporation introduced the Pentax K-1 Mark II 35mm full-frame DSLR. 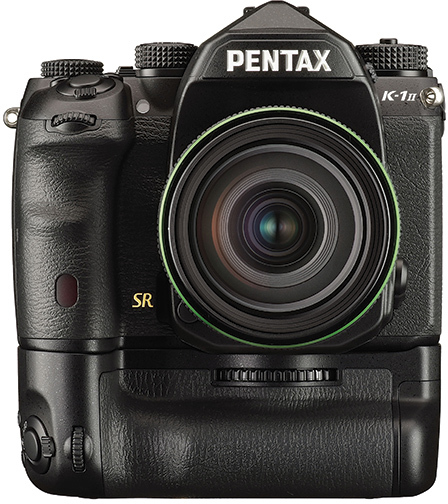 Developed as the successor to the Pentax K-1 that launched in April 2016, the compact, weather-resistant Pentax K-1 Mark II now becomes the Pentax K series flagship. The camera incorporates new technologies that enable it to deliver enhanced image quality and improved operability in a broader range of shooting conditions. The flagship DSLR uses the same full-frame, antialiasing (AA), filterless CMOS sensor with 36.4 megapixels as its predecessor. However, Ricoh added a new accelerator unit that—along with the camera’s Prime IV image processor—enables it to produce high-resolution images with minimal noise. This is said to be true even in the most challenging low-light conditions, up to ISO 819,200. 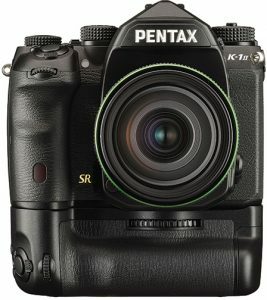 Specs state the Pentax K-1 Mark II permits the continuous capture of 17 RAW images (or 70 in the JPEG Best format) in a single sequence, at a top speed of 4.4 frames per second. In APS-C crop mode, the drive speed can be boosted to 6.4 fps and 50 RAW images in a single sequence, thus assuring the capture of fast-moving subjects. In addition, the DSLR records Full HD movie clips (60i/30p) in the H.264 recording format. It has a stereo mic terminal for external microphone connection as well as a headphone terminal. Users can also adjust the audio recording level manually. They mayalso monitor sound pressure levels during microphone recording and cut wind noise using a new wind-noise reduction mode. In addition to visual effects for movie recording, the camera also provides interval movie mode. This mode records a series of 4K-resolution (3,840×2,160 pixels) movie clips at a fixed interval. The camera also incorporates Pixel Shift Resolution System II. 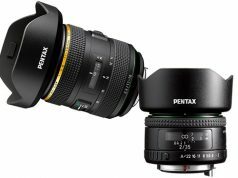 This new Pentax-developed technology uses the same five-axis, in-camera shake-reduction (SR) mechanism and sensor-shift capabilities as the original system in the K-1. It captures four images of the same scene and synthesizes them into a single, superhigh-res composite. However, with the new system, the camera also obtains RGB color data, to achieve finer details and truer colors. 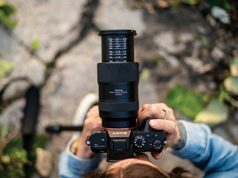 With SRII, in addition to camera shake caused by pitch and yaw, the system also compensates for shake caused by horizontal and vertical shift (often generated in macro photography) as well as that caused by roll. Another new feature in the Pixel Shift Resolution System II is dynamic pixel shift resolution mode. This mode, which can be used during handheld shooting, works together with the shake-reduction mechanism. It synthesizes composite images while detecting slight fluctuations of the subject’s position. 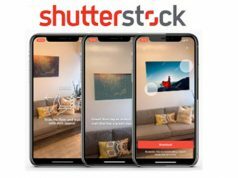 As a result, it is designed to enable photographers to produce crisp, ultrahigh, pixel-shift resolution images without a tripod. The DSLR also features: an optical viewfinder with a nearly 100% field of view for real-time subject confirmation; astro tracer, which simplifies the photographing of celestial bodies by coupling in-camera GPS data with the SRII mechanism; a SAFOX 12 AF sensor module with 33 AF sensors (25 cross-type sensors); a real-time scene analysis system; HDR (high dynamic range) mode; a wireless LAN connection; and dual SD card slots. 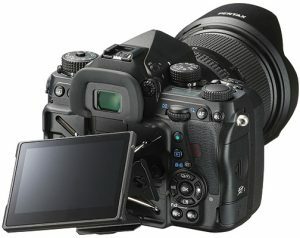 Furthermore a 3.2-inch, 1.04M-dot, tilt-type, wide-view LCD monitor accommodates various shooting angles. In addition, an outdoor monitor function allows adjustment of the monitor’s brightness. And its red-lit display function facilitates monitor viewing when the photographer’s eyes have become accustomed to a dark location during nighttime photography.